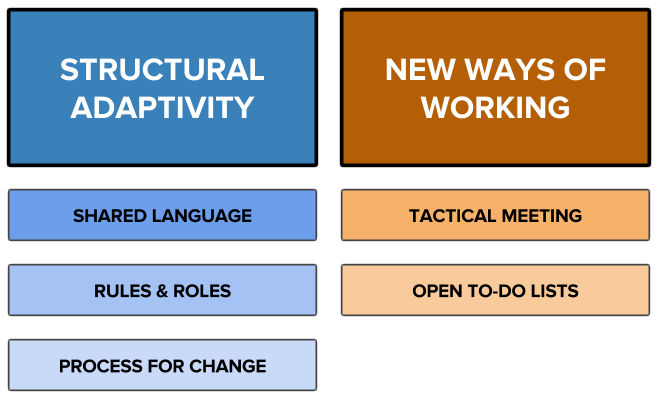 The Tactical Meeting is a process to bring a team into sync and transform tensions into new projects or actions. The person sensing the tension drives the process. She engages other roles to get what she needs. If this leads to new tensions, they are processed one-by-one. By keeping open Project Lists, there is transparency on what work is currently being done, or why certain work is not being done. (There may be other priorities, a lack of resources, unclarity about the work or the need for a role-reassignment.) It becomes clear what the work is and who is doing it. What do your team meetings feel like? Do you know who is doing what and why? For more information on Holacracy, see holacracy.org and our link collection on Holacracy on Tumblr. We also maintain a list of organisations running on Holacracy and a list of upcoming Holacracy events in Europe. Structure & Process uses Holacracy as its operating system and maintains public governance records. We facilitate effective work meetings for clients and design events, workshops and other collaborative situations for meaningful conversations, learning and action. This post was inspired by Jordan Husney’s article “What is Holacracy”, published on Medium.